Fiber artist Anelie Belden began her sewing career working in the fashion industry which gave her the skills to begin her quilting journey. After owning her own quilt store and teaching quilting in her area she began designing quilts. She has taken the traditional Dresden Quilt design and created a new updated Dresden Designs which are featured in her book titled “Thoroughly Modern Dresden”. Not only are the designs modern, they are constructed using a breakthrough piecing technique to improve speed and accuracy. Belden has recorded a program demonstrating her technique with “The Quilt Show”, starring Alex Anderson and Ricky Tims. 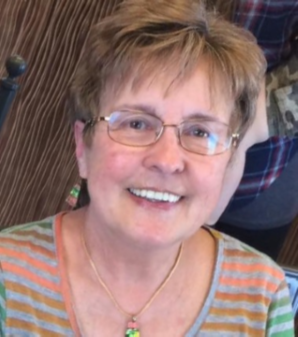 She has also taught at Quilt Guilds throughout the country, Houston Quilt Festival, with Empty Spools Seminars in Asilomar, California, multiple workshops with Quilt-n-Cruise and Many Guilds in the United States. 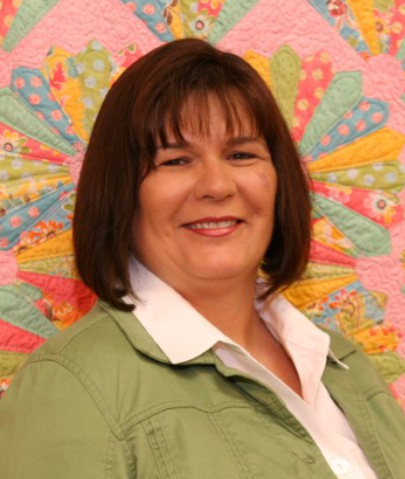 An accomplished quilter, Belden has also had Her quilts featured in publications such as "The Art of the Quilt Calendar" and Quiltmaker's Magazine. Linda has been a long time seamstress and Quilter. She was enjoyed working at Sewing Cottage until they closed. She enjoyed sharing her eye for color and quilting knowledge with the customers. She has been creating many things using Machine embroidery and enjoys sharing projects with her students. “I fell in love with quilts the first time I saw an issue of a Lady’s Circle Patchwork Quilts magazine in the fall of 1986. By 1987 we moved to Maryland, and I took my dear husband with me to G-Street Fabrics and selected a pattern and began sewing. I had a wonderful teacher early on—Lois Smith, and began my second quilt, a sampler. I was totally hooked on quilting, and my love of the art has grown over the years. I learned hand appliqué in 1990, and it changed my life. I began teaching locally in 1997, and continued to teach in both quilt stores and quilting guilds. I began my quilting experience in the early 1980s by taking an adult education class in Pleasant Hill. We drafted our own patterns, cut our templates out of sandpaper or cereal box cardboard, and cut our fabric with scissors! Yes, it was the dark ages! 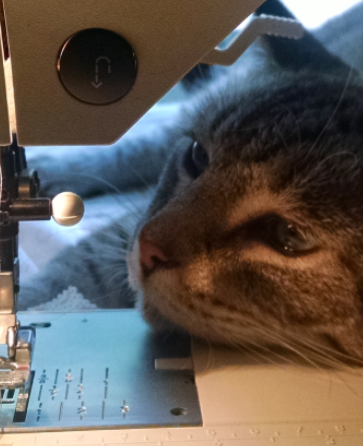 I joined the Vallejo Piecemakers Quilting Guild and learned a lot from those great friends. Eventually I started teaching to that club's members and teaching at The Cotton Patch in Lafayette. When we retired and moved to Pioneer in 1999 I quickly found Sierra Gold Quilt Guild and got very involved with that group. I've taught many classes to SGQG and at Quilters Corner over the years too. 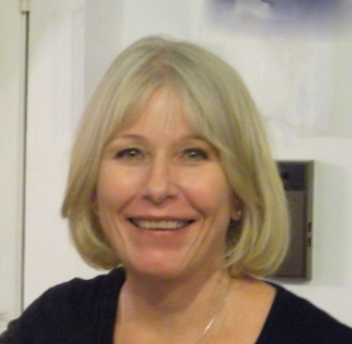 Sue began quilting in 1999 at Thimblecreek in Walnut Creek. In 2004 she was talked into teaching a needle turn applique class at Queen Bee in Antioch and realized how much she really enjoyed teaching. 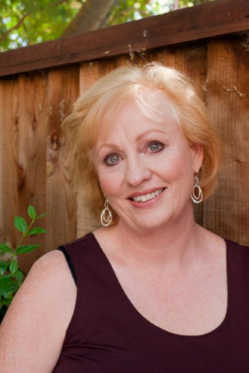 Sue retired to Amador County 10 years ago after working for Bank of America for 30 years. She loves traditional quilt patterns, especially those that combine piecing and either applique or embroidery - or both. Choosing fabrics and colorways is icing on the quilt cake! Jenna and Mason White are Certified Bob Ross Painting Instructors who are offering classes teaching the Bob Ross Wet on Wet landscape painting technique. Our classes are both fun and informative and require no previous painting experience. 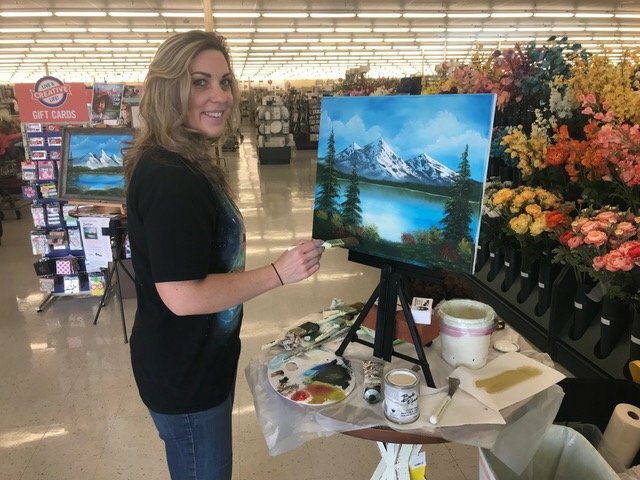 Come join us for a class soon and we’ll have you painting happy little trees (and mountains and lakes and waterfalls...) in no time! 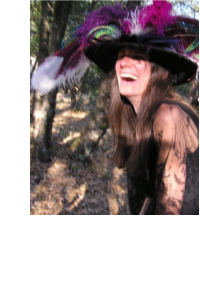 Even though Lorra Lee Rose is known for her feather work, she has found great pleasure in felting. For years she has been creating images with wool that otherwise drawing is difﬁcult for her. “I love how forgiving and how easy it is to paint a picture with wool” she says. She has found the combination of wet and dry felting techniques to be the most satisfying and is excited to share her knowledge in her workshops. Come join her to learn the magic of felting.